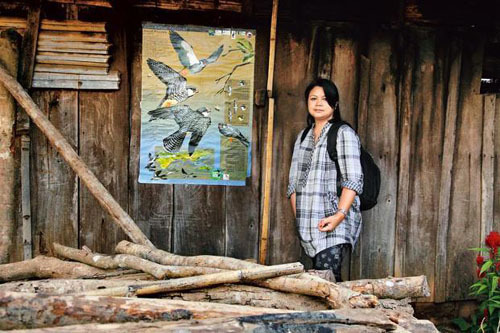 Journalist and activist from Nagaland, Bano Haralu has been nominated for the second Bijoy Krishna Handique Memorial Award for leadership in wildlife conservation in the northeastern region. The award was instituted by the Development Foundation of Assam in the memory of the veteran parliamentarian last year. The award is conferred on Haralu for the conservation of Amur falcons through community mobilization, collaboration with local youth, administration and research institutions in various parts of the region, particularly in Nagaland. The selection panel also highlighted her role in introducing educational programmes in schools that taught local children about the life cycle of Amur falcons and why they should be protected, reports The Assam Tribune. The award carries a trophy, a citation and Rs 1 lakh. It will be presented at a ceremony at the Science Planetarium, Jorhat on July 30, commemorating the third death anniversary of former Union minister BK Handique.